Sylhet Office : Dibir Haor, a beautiful tourist spot surrounded by mountain at the foot of Meghalaya state of India, was off the radar even four years back, but it has turned out to be a great destination of tourists in a much less time than expected, thanks to the media for their constant coverage since 2014. There are four beels — Dibi Beel, Yam, Horofkata and Kendree Beel– where water lilies are grown naturally in around 900 acres of land. 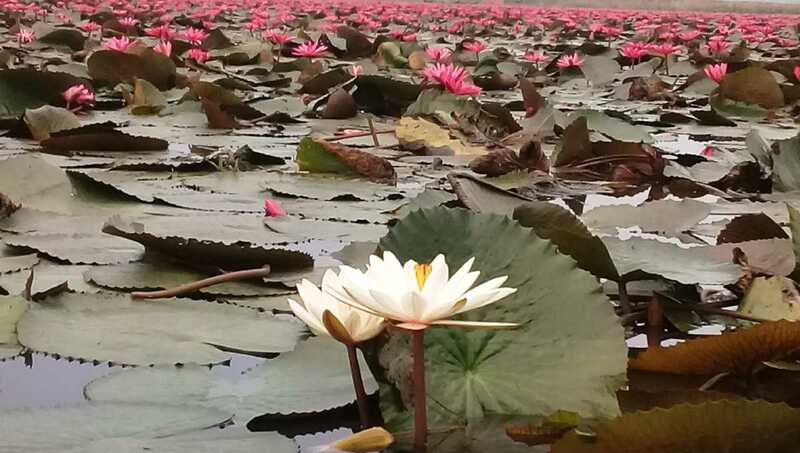 During winter, these beels wear an attractive look with the blooming of water lilies and the entire place looks like a carpet decorated with the red water lilies.